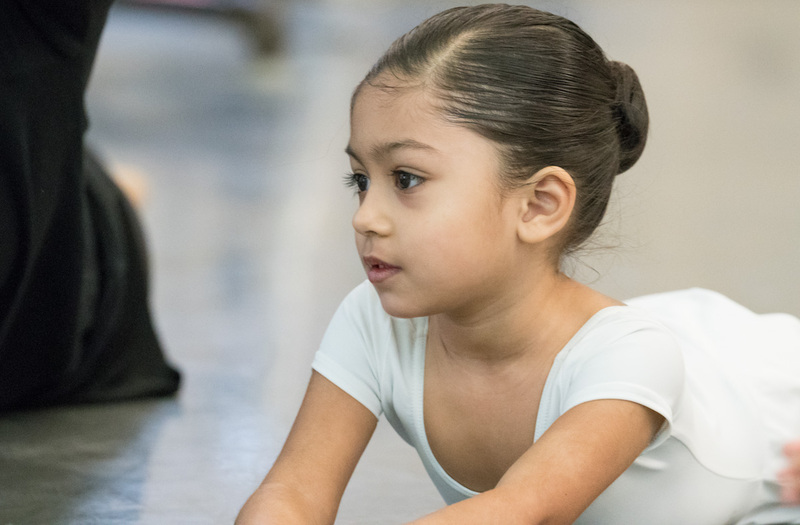 The ABT Jacqueline Kennedy Onassis School, named after the prior First Lady and longtime ABT Honorary Chairman, is a ballet training program for young dancers that promotes creativity and discipline, enabling children to reach their highest potential. Not only do students receive the best technical training with ABT’s National Training Curriculum, but they are guided by caring instructors who nurture their students’ love for dance. 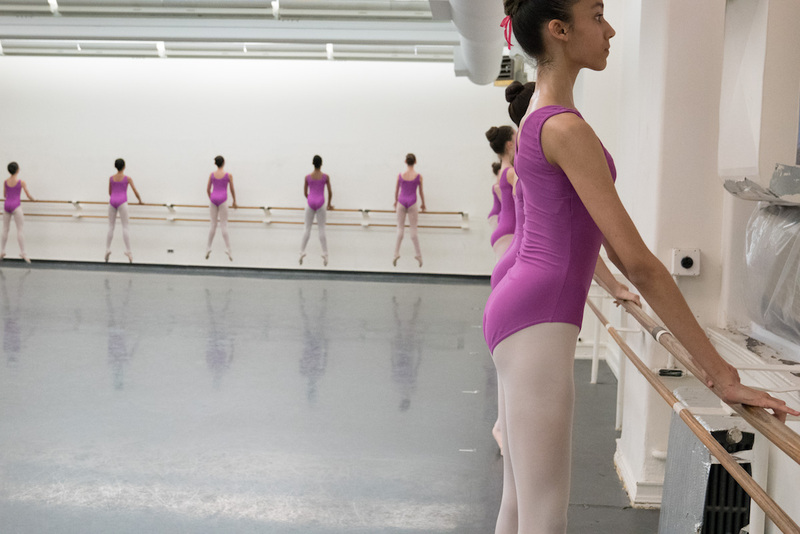 At its inception, the ABT Jacqueline Kennedy Onassis School had only 10 students and has since grown to enroll over 430 dancers per academic year. 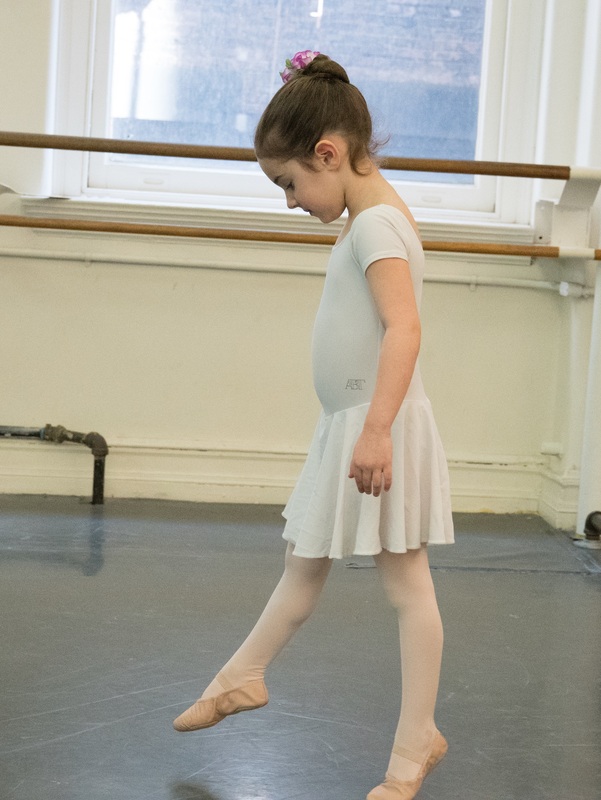 Under the direction of former ABT Principal Dancer and current ABT JKO School Artistic Director Cynthia Harvey, the Children’s Division focuses on building a solid foundation in ballet technique with an emphasis on proper placement and safe progressions of movement while remaining sensitive to the developmental needs of younger dancers. The Children’s Division is subdivided into Primary Classes and Levels 1A-3. To learn more about the school and how to enroll your young dancer, please browse our Children’s Division class information. Note that all classes include live piano accompaniment. 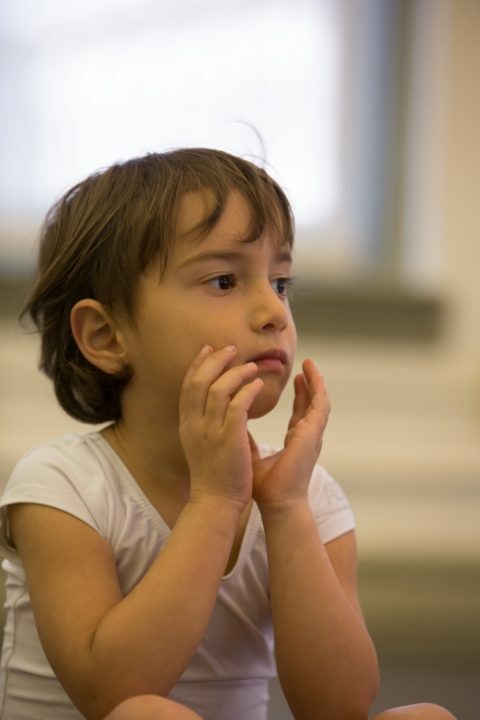 ABT students ages three to seven are introduced to music and movement in our Primary Levels. The emphasis in these courses is on rhythm, dynamic, and placement, so that students graduate from Primary with an understanding of spatial awareness, correct alignment, teamwork, and focus. Each level is divided by age in order to accommodate the developmental needs of every student. No auditions are necessary for Primary classes. Serious ballet students ages eight to twelve may audition for Levels 1A through 3 to pursue pre-professional training. 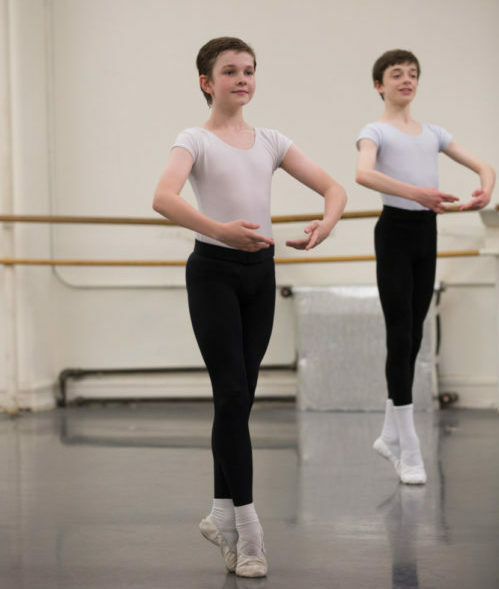 ABT faculty follow a specific graded curriculum designed to strengthen technique, stamina, and discipline through practical training and lessons in theory. Girls and boys are separated in Levels 2 and 3 to address the specific techniques and physical strength of each individual dancer. 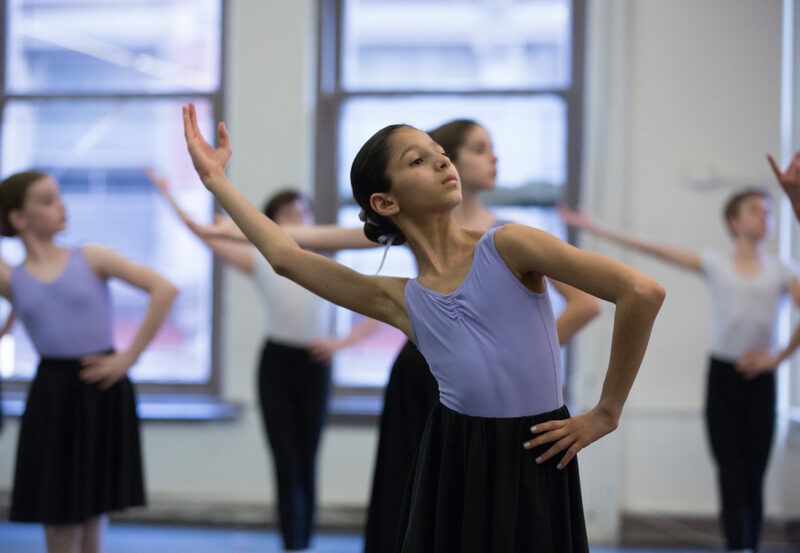 At the ABT Jacqueline Kennedy Onassis School, our students are trained with ABT’s National Training Curriculum, which combines scientific principles with elements of classical French, Italian, and Russian schools of ballet. The goal of our Curriculum is to train students to use their bodies correctly by educating them on anatomy, kinetics, coordination, and alignment. Artistically, our Curriculum strives to provide for students both a rich knowledge of classical ballet technique and the ability to adapt to all styles of dance. As each level follows our carefully planned Curriculum throughout the year, students are expected to attend all their assigned classes. Students enrolled in the Children’s Division are not permitted to seek outside ballet training or lessons. Students must turn 3 years old by September 1, 2018. Students may enroll in one of the following class sections. Students must turn 4 years old by September 1, 2018. Students must turn 5 years old by December 1, 2018. Students must turn 6 years old by December 1, 2018. Students must turn 7 years old by December 1, 2018. Students must attend all classes listed for their level. An audition is required for Level 1A. Please keep in mind that the age range is given as a guideline. 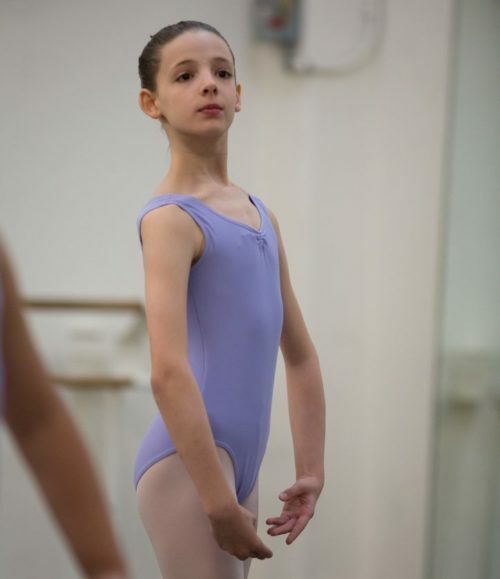 Students will be placed by the ABT JKO School artistic faculty in the appropriate level based on technique demonstrated at the open audition. An audition is required for Level 1B. An audition is required for Level 2A. + Boys in Level 2 attend a mandatory one-hour boys' class in addition to their technique classes. * Girls in Level 2 attend a mandatory one-hour pre-pointe class in addition to their weekly classes to help prepare them for pointe work. An audition is required for Level 2B. An audition is required for Level 3A. + Boys in Level 3 attend a mandatory one-hour boys' class in addition to their technique classes. * Girls in Level 3 attend a mandatory one-hour girls' conditioning class and two half-hour pointe classes in addition to their technique classes. An audition is required for Level 3B. 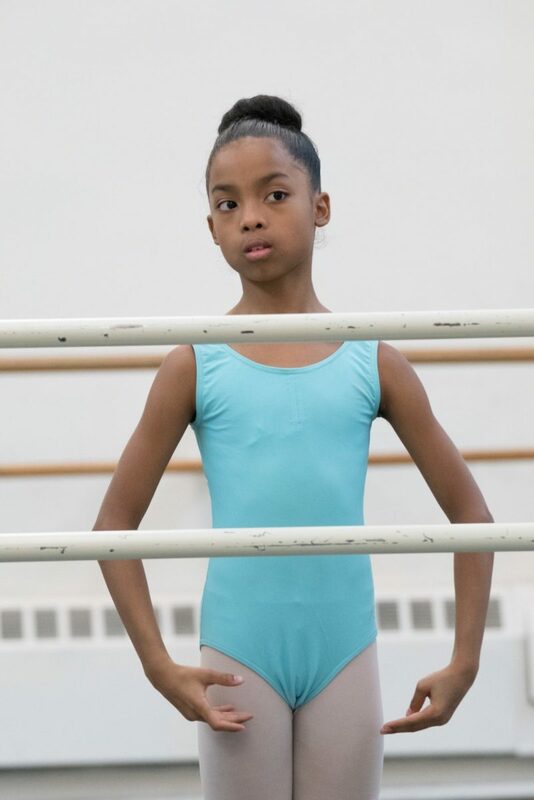 The Children’s Division Bridge Class provides a bridge from ABT to the New York City community and also serves to identify and train talented young students with potential for careers in dance. Students who train at one of our Project Plié Partner Schools are eligible to audition for this program. Students can also be nominated to audition by an ABT Certified Teacher or an ABT Teaching Artist. For more information about the Bridge Class and our Project Plié Partner Schools, please click here. Pre-Primary and Primary levels at the ABT JKO School are open enrollment and no prior dance experience is required. Placement in each level is based solely on a child’s date of birth. Registration is on a first-come, first-served basis. All prospective Children’s Division students ages 3-7 must fill out the interest form below in order to receive 2019-2020 school year enrollment information. Auditions are required for students intending to enroll in Levels 1A through 3B of the ABT JKO School for the 2019-2020 school year. 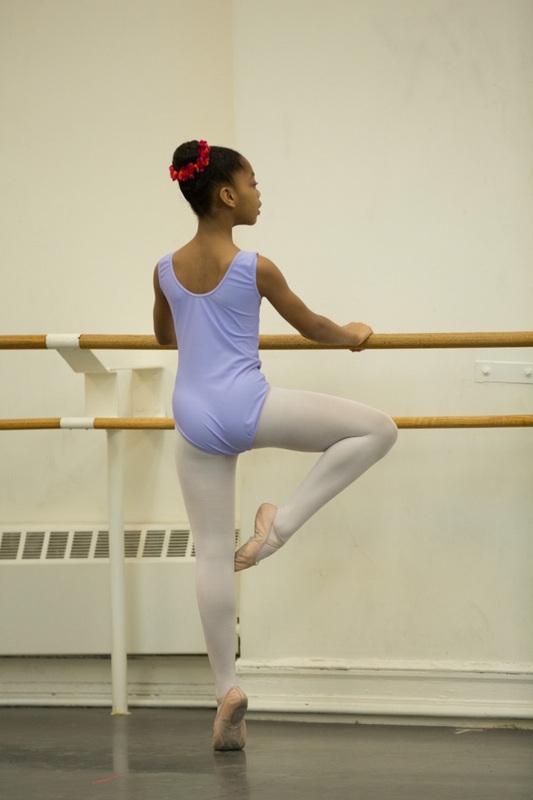 These levels are for students ages seven to twelve with previous ballet training. Upon acceptance, students will be placed into the appropriate level by the Artistic Faculty. All interested students must participate in an open audition class. Upon acceptance to the program, students are placed into the appropriate level by the artistic faculty. 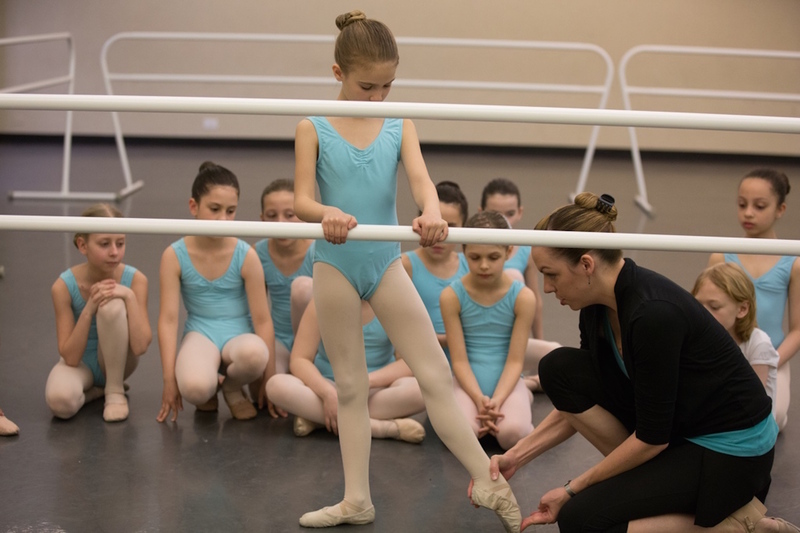 Students in this age group are expected to have previous ballet training. The ABT JKO School Children’s Division has no further auditions for the 2019-2020 school year scheduled at this time. Please email [email protected] with any enrollment questions. Please note that seven-year-olds are only permitted to audition for Levels 1A through 3B if they will turn eight by December 1, 2019. If your child will not turn eight before December 1, 2019, they are eligible for our open enrollment level, Primary C for the 2019-2020 school year. See above for more information. American Ballet Theatre strives to provide educational programming of the highest quality, and it all starts with our faculty. ABT JKO School faculty includes members of the ABT Artistic Staff, ABT Alumni and graduates of the ABT/NYU Master’s Program in Ballet Pedagogy. All Children’s Division faculty members are certified in each level of the National Training Curriculum. Each class at the ABT Jacqueline Kennedy Onassis School is accompanied by one of our accomplished musicians. Share the magic of American Ballet Theatre! Join us this year for a unique parent/child engagement program for 2-year-olds. From the four little swans of Swan Lake to the swashbuckling pirates of Le Corsaire, the repertoire of American Ballet Theatre has inspired children and their families for generations. This 10-class series is designed as a parent and child or caregiver and child engagement program. Spark your child’s interest in ballet and prepare them for a future of ballet enjoyment and participation. 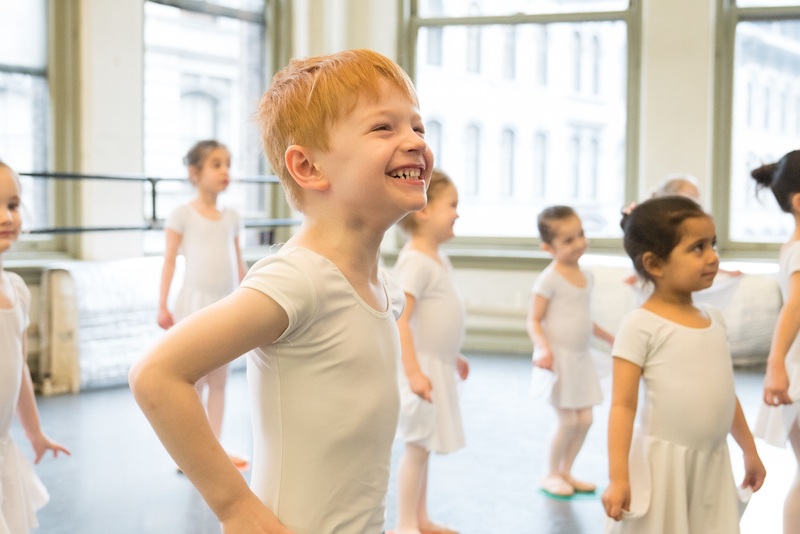 Join ABT dance educators to learn ballet fundamentals, explore musicality and foster your child’s creativity and imagination through the world’s most iconic ballets at ABT’s Studios at 890 Broadway! Our ABTots program prepares students for entry into the ABT Jacqueline Kennedy Onassis School Children’s Division, where the emphasis in Pre-Primary for 3’s is on rhythm, dynamic, and placement. 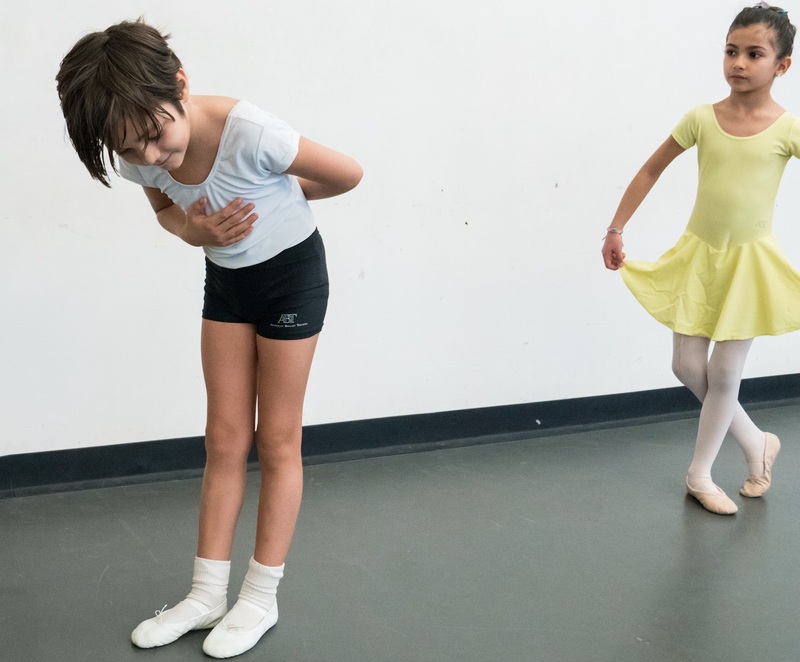 ABT Teaching Artists complement ABT’s movement experience with unique arts and story time activities that allow for ballet friendships to blossom. Join us today for this truly immersive experience. ABT Jacqueline Kennedy Onassis School students wear Capezio leotards. If you require further assistance or have any questions regarding the Children’s Division of the ABT JKO School, please contact us. 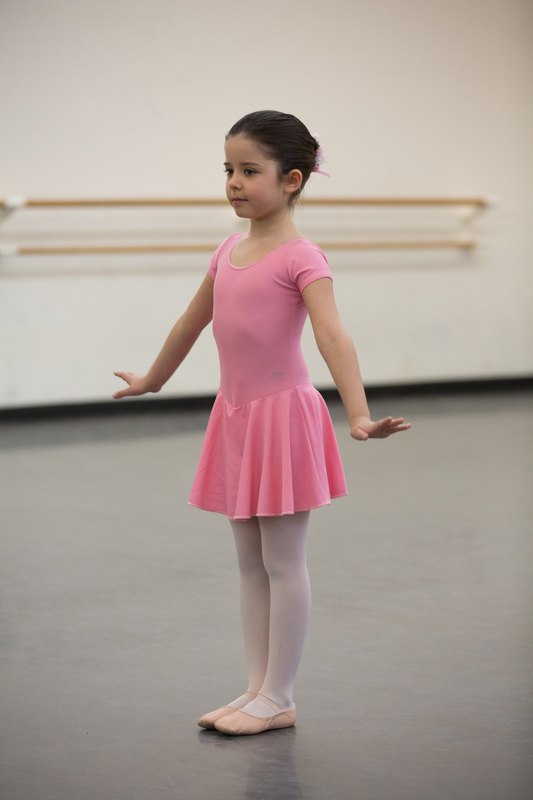 Explore frequently asked questions for the ABT JKO School’s Children’s Division.